Later this fall, the Council of Supply Chain Management Professionals [CSCMP] will meet in Denver to discuss all things supply chain. Celebrating 50 years, you can imagine that this group has seen shipping and logistics change and evolve over time. A half a century ago, there weren’t devices that could instantly tell you where your package was. There weren’t hand held devices that could instantly scan your goods and report their progress to a server that the public could access. There weren’t compact devices that enabled the shipper to make on the fly changes to the details of their package, while still in transit. 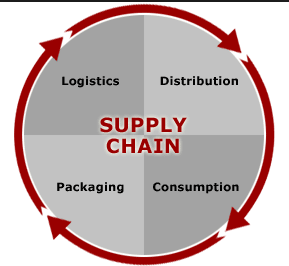 Even the term “supply chain management” was something years away from being coined. This group has seen it all. People can now do more-with less. We look forward to seeing the all-new program in 2013. This years events should be exciting and very informative. Stay tuned for updates as this event draws closer.